Branded by LCI so you know this is a premium linen sheet. Weight, texture & quality guaranteed. Click or call 508-281-5088 For details. Question: I want to order the black linen cardstock paper to create pocketfold envelopes for my son's wedding invitations but I'm not sure if I need to order the 100lb or 130lb. Can you help? Answer: If you are making pocket envelopes, then the 100lb would be plenty thick and I wouldn't recommend the 130lb. Question: I would like to know if the tone of the Linen Natural White paper 80lb stock is a yellow tone or more a cream/beige tone. Is it more subtle in color than the ivory? Answer: The Natural linen is a soft cream and not a yellowish Ivory. Question: I'm an invitation designer and plan to print a wedding suite on your Natural White Linen cardstock and am wondering if you can share the paper manufacturer of this? Is it Neenah Classic Natural White Linen? 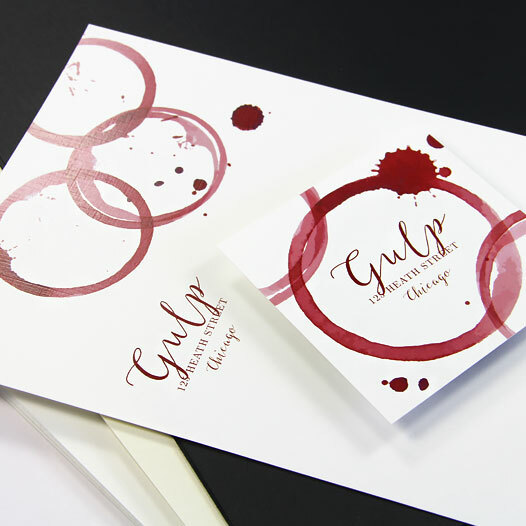 The invitation card will be letterpress printed and I want to ensure the shop I use orders the thicker 130# stock in the exact color match for that card since I'll be ordering the 100# from your site for the digitally printed pieces. Answer: This is an LCI house brand, so unfortunately it will not match exactly to Neenah Classic Linen Natural. Also I'm sorry to say the LCI linen paper is not offered in a heavier weight than 100lb / 270gsm cover. Question: Do you recommend linen for our restaurant for menu printing? Answer: Our house white and natural linen are very popular for menu paper. They are easy to print and economical. Question: Do you have envelopes to match this paper? Answer: Yes, we do have LCI Linen Envelopes to Match our Linen Cards. Question: I have an Epson R5000. Would like to use LCLN1117NW70T Linen paper for mostly black & white photos. Can you tell me if it is similar to the Southworth linen 25% cotton or can I receive a sample of your linen papers in 8 1/2 X 11 size to try on my R5000 printer?. Trying to get a little more of a fine art feel. 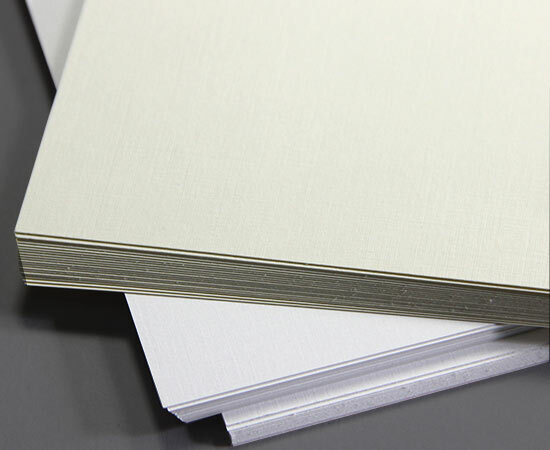 Answer: The LCI Brand linen paper is absolutely a refined, quality linen paper with an excellent look and feel. The main difference between the Southworth 25% Cotton is that the LCI linen does not have any cotton content. Personally, do not think the limited amount of cotton will make a difference on the printability, look or feel of the paper. The LCI linen papers have a uniform surface made with strong fibers, therefore enhancing the printability. 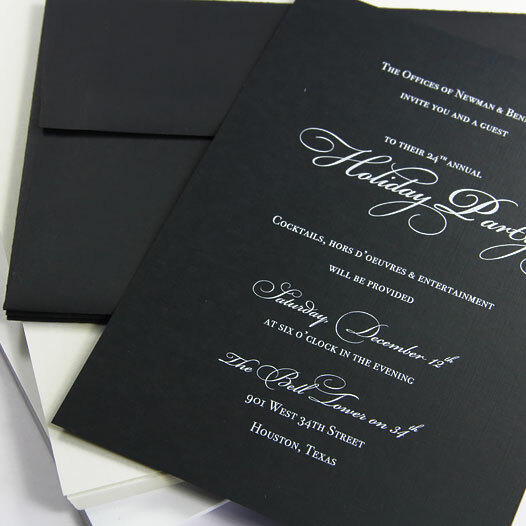 The embossed linen pattern is subtle and elegant to the touch making it an excellent choice for printing black & white. We have not printed using the Epson R5000 therefore samples would be a good idea. Look for the sample link on the page to order your samples. There is a small charge for each sample but the shipping is free. Question: Hello! Do you have the 130lb linen paper in white? I only see black on the website. Thank you! Answer: At this time we do not offer the 130lb Linen in White, we only offer it in Black. The heaviest we currently offer in Linen is 100lb / 270gsm. Simple sophistication is always in style, which is what makes our Linen Collection a customer favorite. Featuring a classic, print-friendly finish and offered in a variety of weights and colors, this collection offers something for everyone. Embossed with that classic subtle woven finish we all know and love, LCI Linen has just enough texture to enhance designs without overwhelming them. Available in tasteful white, cream, and black, linen adds that je ne sais quoi you're looking for in your creative design. From letterhead, to invitations, to packaging, linen is offered in a weight to cover it all. Choose from 70lb text, and 80, 100, and 130lb cover weights. The beauty and versatility of LCI Linen is available not only in paper, but in cut cards and envelopes as well. Order blank or printed and enjoy same day shipping.